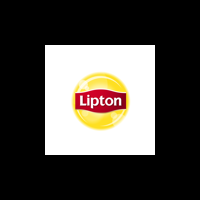 Ideal for restaurants, Lipton Unsweetened Tropical Iced Black Tea offers delicious flavor and a delicate aroma that your patrons will appreciate. Made from carefully selected black tea leaves, the tea is infused with tropical flavor for a tangy, exotic taste. Each bag prepares 1 gallon of iced tea when brewed using a brew basket and decanter. Sourced from 100% Rainforest Alliance Certified tea estates, the tea is carefully picked, dried, crafted, and then tested by tasting experts to ensure a perfect blend that will delight any tea enthusiast. The sachets and carton are recyclable and packaged in a zero-landfill facility, making this tea a responsible choice. JFG Brew Tea, Makes 1 Gallon -- 100 per case. Red Diamond JPT Closed Filter Brew Pack Tea, 1 Ounce -- 96 per case. Lipton Iced Tea Bag - Gallon Size -- 24 per case. JFG Brew Tea, 1 Ounce -- 96 per case. Lipton Family Size Iced Tea Bag, 24 count per pack -- 6 per case. Red Diamond Fuzzy Peach Tea, 3.13 Pound -- 1 each.